While Hinduism provides for a rich library of ideas and stories and characters that serves as an inspiration to artists, no other entity has been such a favourite with poet- and painter-devotees as Lord Shiva. 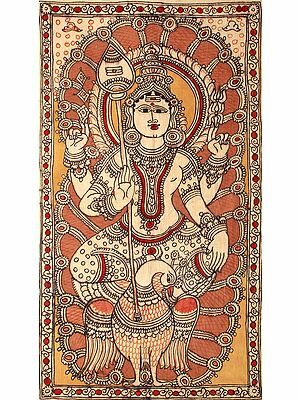 He is the destructive component of the quintessential Hindu trinity, one of the most complex and ferociously worshipped deities of the pantheon. 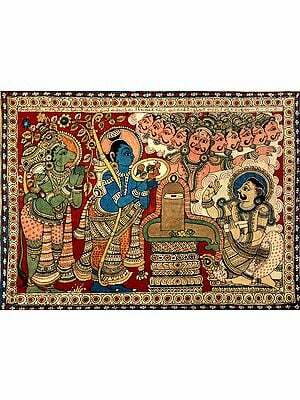 This subsection of our one-of-a-kind Hindu paintings section features a remarkable collection of the Lord's portrayals, His superb handsomeness brought out to perfection by a skill and imagination that could only have been perfected over generations of practise with the paint-dipped brush. 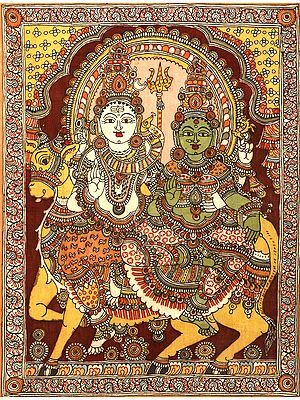 Some of these are depictions of Shiva in life-episodes that are the stuff of folklore, such as in the midst of His tandava or in the company of His wife Parvati; while some are portrayals of the complex, relatively lesser-known incarnations such as Harihara, Sharvesha, and Sharabha. The colour palette is diverse, ranging from subdued pastels to vibrant earthy tones, each of which would lend to your space a highly specific tone. 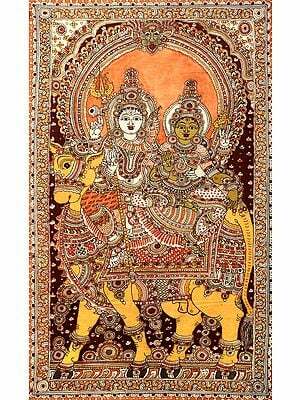 It is not just the Lord Himself that fills these sections - a number of these paintings depict His trusty steed, Nandi, or devotees steeped in His ritual worship.